Famous Astrologer Predicts WWIII. Is 2017 the Year of Big War or is it The Calm before the Storm? USA chart and possibility of WWIII with Russia. First it was Brexit, now it’s Trump, and soon it will be Marine Le Pen in France. The globalists have lost their hold on the people because no one believes them anymore. The sheep have finally realized that international trade agreements were not signed for them, but for the 1% who own just about everything. So will powers that be accept democracy and sit by idly as their ‘new world order’ gets dismantled? Some think that the Gemini Trump and Libra Putin are going to get along fantastically, that the wars in the Middle East will end and the US will stay out of Russia’s hair in Ukraine- maybe the world has dodged a bullet? Not so fast. The planet Pluto, the ultimate astrological manifestation of brute force, death and destruction, is sitting at 15 degrees of Capricorn, staring directly at the heart of United States chart in Cancer, from the heart of the Capricorn Russia. The deep state, the real power that runs the West, is not elected nor does it care about polls. It only cares about it’s financial grip on the world. These are the people that brought us the Federal Reserve, two world wars, mega corporations, the cold war and their crowning achievement, globilization. They will not sit back and twiddle their thumbs while Putin and Trump become friendly. Pluto began its journey into Capricorn with the financial crisis of 2008 and now that it’s reached the midway point and it’s time for the real fireworks. The question facing the ‘deep state’ is how to stop this worldwide trend toward nationalism and away from their master plan, globalism. The answer undoubtedly is war. By stirring the same pot the nationalists do, the globalists can get a very different stew. Pluto wants destruction of all artifice, he wants things reduced down to their true essence. His blow torch is on both the US Sun in Cancer and the Russian Sun in Capricorn. We are now in the danger zone, with the US caught between two very different presidents, and the arch-enemy Russia being blamed for having thrown the elections. Astrologically speaking, there is a very important date coming up, December 2, at which time Pluto will be conjunct Russia’s natal Neptune at 15 degrees 58 minutes Capricorn. Neptune, or Poseidon in Greek, is the ruler of the seas, mysticism, and idealism. 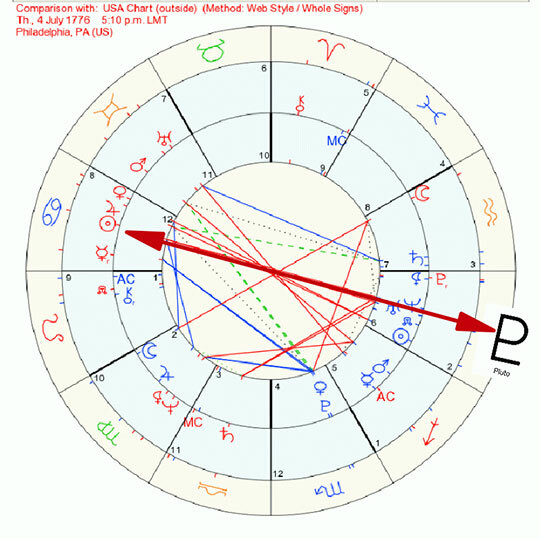 This conjunction in the Russian chart between the extreme truth seeker Pluto, and the mystical, idealist Neptune could be the moment when something very unsavory is revealed about Russian government and ruling elite. Just as the Russians (supposedly) hacked the emails of the Democratic National Committee (DNC), it seems very likely that before leaving office, the the Democratic president Barack Obama will attempt to extract his revenge by returning the favor. Between now and January 20, 2017, when Trump is inaugurated as president, there is a very heightened chance of a full blown conflict emerging. How to show the ‘people’ they are wrong? It’s quite simple, especially in an extremely divided country like the United States where Hillary Clinton actually won the popular vote, but lost the election. What needs to be done is to demonstrate that the Russian’s intentionally skewed the US elections for their own nefarious ends, and this is where Neptune, which represents illusions and media, is exposed by the x-ray power of Pluto. The planetary aspect of Pluto conjunct Russia’s Neptune could very easily play out in a reverse ‘Wikileaks’, where some organization released emails showing how the Russians planned the whole operation which compromised American ‘democracy’. As this whole drama unfolds, an ‘incident’ in Syria where US and Russian forces clash by ‘accident’ would completely compromise the whole idea of a Trump presidency. The Deep State, or world shadow government, will not roll over nicely on the orders of working class Americans. They will cook up a beautifully scripted drama to return the world to their globalist paradise and there is a very good chance that this will include a soft coup and a war. These two superpowers have never directly clashed, but during the end of 2016 and the beginning of 2017, the danger will reach a level never seen before. As the Russians say, God likes things in three. Is WWIII awaiting us? Any pressing matter with Astrological approach on what is really going on how we get there. 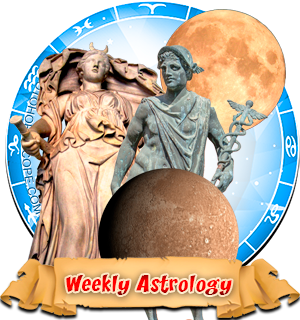 Weekly articles from various astrologers. nothing will happen because working with the wrong graphics. - make love, not war. Boris The Animal - I prefer to do both.